Your hair structure is a combination of a complex natural protein called keratin and moisture. In normal healthy hair, keratin accounts for approximately 90% of the structure and moisture the remaining 10%.Keratin is principally responsible for the hair’s strength and resistance to general wear, while moisture is mostly responsible for its elasticity, flexibility, softness and manageability. Unfortunately straighteners, colors, perms, blow drying, sun damage, pollution, pool chemicals and even everyday wear and tear like brushing can damage your hair’s keratin and moisture levels. How do you know your hair is damaged? Well your hair will feel and look coarse, oily and dull. If we look at our hair through a microscope you would see cracks, splits and craters in your hair strands. 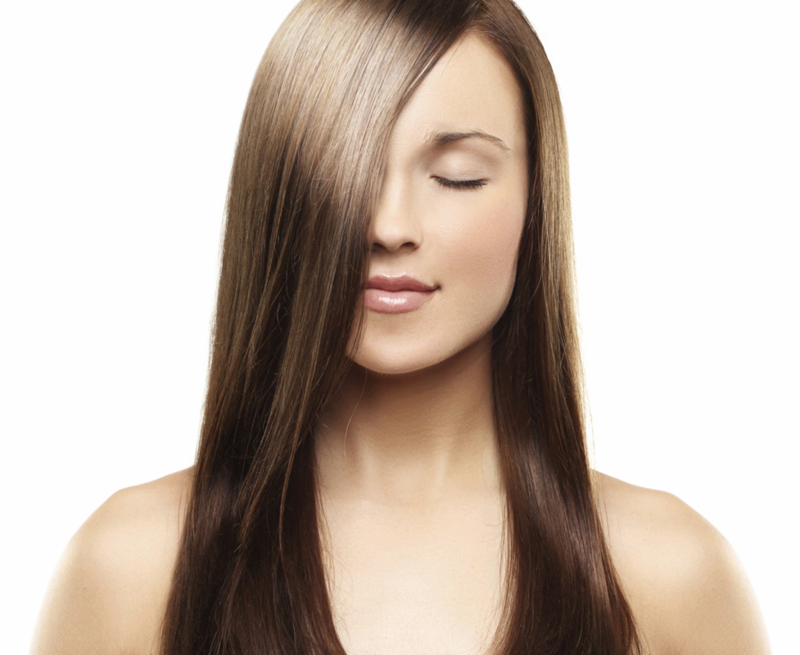 Keratin treatments can eliminate up to 95% of frizzy hair while making it dramatically more manageable. This revolutionary hair smoothing system allows Rapunzel’s hair stylists to infuse keratin molecules deep within the hair’s cuticle, repairing damaged hair and reducing split ends. Keratin is a natural protein already contained in your hair. By adding this protein in the form of a hair straightener, your hair is enhanced by the protein’s restorative properties. 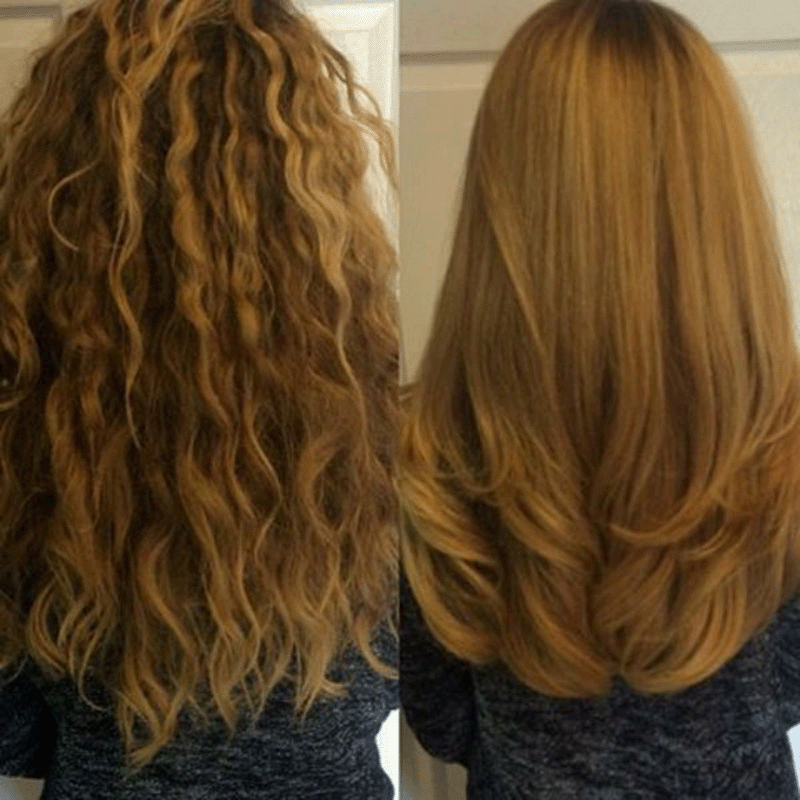 The end result of this keratin treatment is hair that is unbelievably soft, shiny and smooth. 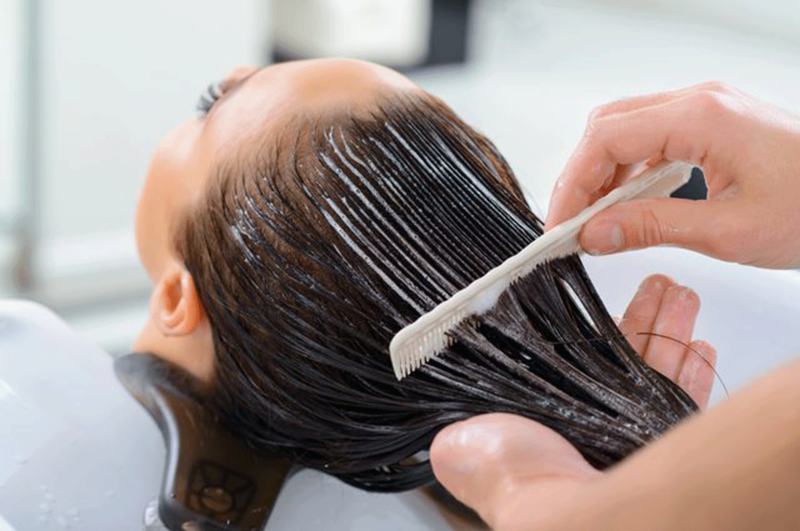 We recommend adding a conditioning treatment to any of our hair services. Our conditioning treatments are designed to help preserve the health of your hair, reduce frizz and split ends, and help maintain the salon look in between visits to Rapunzel’s. Ask your stylists about our conditioning treatments and which one they would recommend for your hair style and type.